In addition to The Keckley Report, he authors, a monthly column for Health and Hospital Networks and has published three books and 250 articles. During the period preceding the passage of the Affordable Care Act, he facilitated sessions between White House Office of Health Reform sessions and major health industry trade groups as private sector input was sought in the legislation. He serves on the board of Tivity Health as an Advisor to Western Governors University and the Lipscomb University College of Pharmacy, and is a member of the Health Executive Network and Healthcare Financial Management Association. 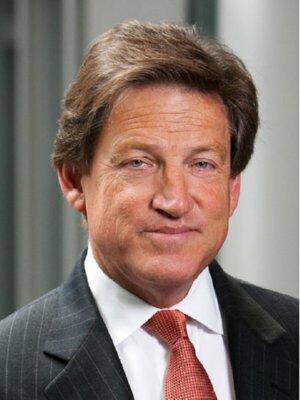 He served as Managing Director of the Navigant Center for Healthcare Research and Policy Analysis (2014-2015), Executive Director of the Deloitte Center for Health Solutions (2006-2013), executive administration at Vanderbilt University Medical Center (1998-2006), Chief Executive Officer of PhyCor Management Corporation-the IPA Subsidiary of PhyCor Inc. (1994-1998) and Managing Partner of The Keckley Group, a health care research and policy analysis firm (1974-1994). He also served as Independent Chairman of Interdent, a California dental practice management company (1992-1996) and as an Adjunct Professor in the Schools of Medicine, Business and Health Policy at Georgetown University and Vanderbilt University. He completed his B.A. at Lipscomb University, MA and PhD degrees from Ohio State University, and a fellowship in economic policy at Oxford University. He resides in Nashville, Tennessee and enjoys golf, jogging, and the search for great coffee. Consumerism in Health Care: Is the Industry Ready?